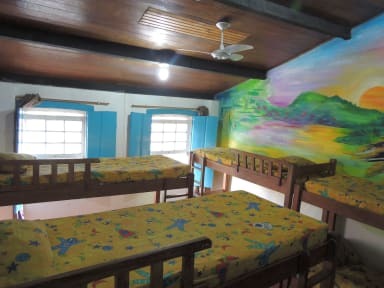 Hostel Oh Meu Rei v Salvador, Brazílie: Zarezervujte nyní! 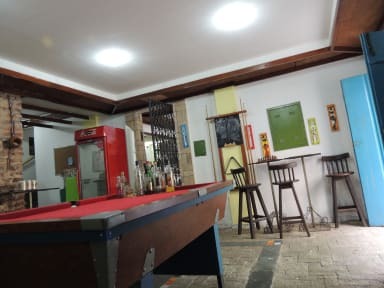 At Hostel O meu Rei installations we have a reception and 24 hour, TV room equipped with TV, DVD and Playstation, home theater, computers with internet access, WI -FI, table for board games, laundry service, bar that closes at the last customer. We also have 04 showers, 04 toilets, and extra towels if you need it. Hostel is located in the historical center of Salvador Pelourinho, near the market ¨Modelo¨, along of¨Escadaria dos Passos¨ where was recorded the movie Paying Promises. On average is 20 minutes from the airport and 10 minutes from the bus station. In the center of Pelourinho is where you find the parties, carnival blocks, Olodum, Gandhy of Children, and more. On the¨Escadaria dos Passos¨ is performed a Geronimo Show every Tuesday. that our guests have the privilege of watching the show from a balcony in the hostel.